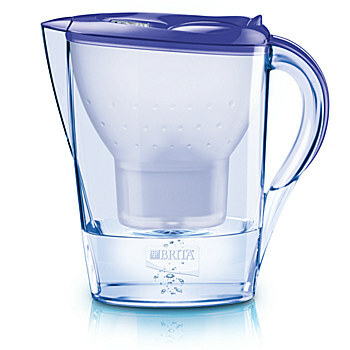 As an entry-level, inexpensive method of filtering water the Brita-style filters are a start in the right direction. They require a filter change at least every 4 weeks, and as time goes on their filtering ability is greatly reduced. They work by using a granulated activated charcoal filter which reduces limescale, but also effectively filters out chlorine or metals from domestic plumbing such as lead or copper. Our Brita jug filters made our water taste palatable, even when we used an ‘old’ filter (being too lazy to change it inside of a month). The downside is that because the filter is not solid it does not remove all the toxins in water such as volatile organic chemicals, heavy metals and fluoride (which are exactly the things you want OUT of your water). If you’re serious about water filtration you really need to go for another option. 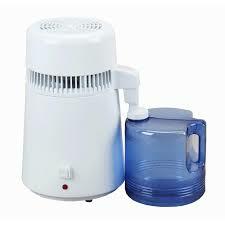 Pros: Cheap to set-up, easy to access (these jugs and filters are available at department stores and supermarkets), portable, produces clear tasting water, filters some toxins, better than nothing. Minerals are kept in the water. Reduces chlorine. Cons: The filter requires changing every 4 weeks, many toxins are not removed, fluoride is not removed. They do not remove all the contaminants because the carbon filters are not solid. They will not remove heavy metals, herbicides, pesticides, fluoride, endocrine disruptors, or emerging contaminants. 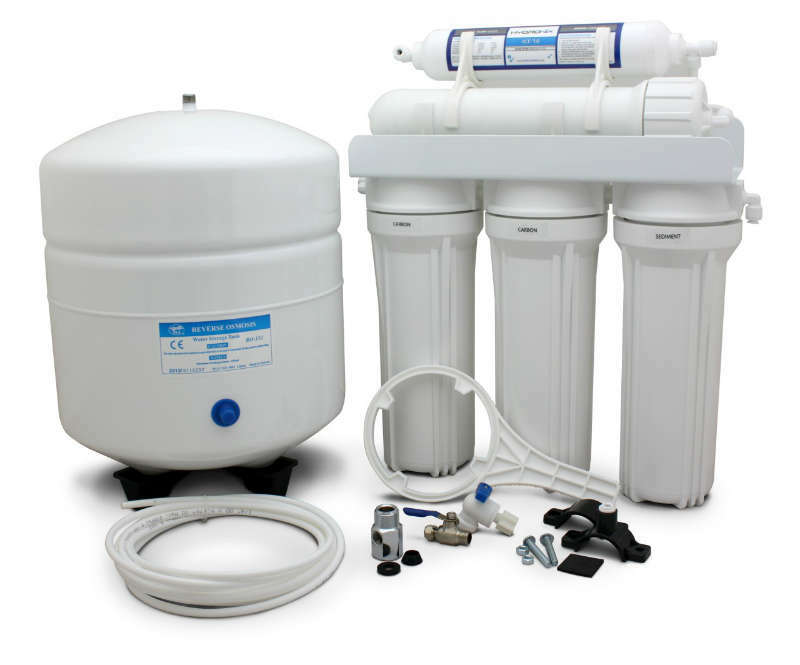 A Reverse Osmosis (RO) system sits under your sink and works by forcing water under pressure through a system of filters and a semipermeable membrane to remove 99% of dissolved solids, heavy metals and impurities in water. RO filters remove all contaminants including bacteria, viruses, parasites, heavy metals, inorganic chemicals, pesticides and algae. Domestic units are designed to be used on pre-treated municipal water only. We installed a 5-stage system (3 x carbon filters, 1 x membrane, 1 x mineral filter) and we love it so far. Pros: Convenient (tucked away under the sink), beautiful, fresh, clean, clear water is available ‘on tap’ via a dedicated faucet, best standard filtered water for domestic use. The unit is best installed by a plumber (but can be installed by a DIY-er, there are ‘how-to’ instructions on installation available on You Tube). 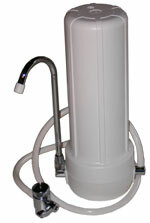 RO filters require water pressure to work, and do not require electricity. Removes fluoride. Cons: Expensive to set-up, ongoing filter costs are an annual commitment, RO filters remove minerals from the water (which can be combatted by installing a mineral filter to put the minerals back in). RO filters have a waste water outlet, and water does get wasted (carrying the filtered toxins away), we were told it was equivalent in volume to one flush of the toilet per day. Costs: $500-$1200 for the filter system, plus Plumber $120-200 plus Replacement Filters $170 (every 12 months). Distillation works by using a heat source (similar to a kettle) to vaporize (or steam) water to separate it from contaminants commonly found in tap water. Distillation boils untreated water until it begins to steam. The heat is then kept at a constant temperature to maintain vaporization while prohibiting other undesirable elements from vaporizing. Water has a lower boiling point than salt and other mineral sediments. This process separates the water molecules from microscopic, disease-causing organisms and contaminants. Once all of the water has vaporized, the vapor drips into a condenser, where, upon cooling, the water reverts to liquid form and runs into a receiving container. The remaining contaminants, whose boiling point was too high to permit vaporization, remain in the original container and leave behind yucky sediment. Pros: Distillation is ideal for non-municipally treated water (like the water in developing nations). Distillation is extremely effective at the removal of bacteria and often used in areas at high risk of waterborne diseases. Distillation also removes soluble minerals like calcium, magnesium, and phosphorous that may harden water and increase the occurrence of scaling. Distillation leaves behind the scunge you’d normally drinking, I think it’s great and interesting to see exactly what’s yuck about water and knowing that you’re not drinking it! Cons: Its important to note that the vaporization process will strip water of salt, metals, and bacteria, however the boiling point of most synthetic chemicals (including pesticides, herbicides, and chlorine solutions) is lower than the boiling point of water. Synthetic chemicals are the major contaminants remaining after municipal treatment. Distillation does not remove these harmful chemicals. Also Distillation requires having a clunky appliance on your kitchen bench or laundry (bench space is precious to me! ), plus being an appliance it basically needs to be on (boiling away making steam) for hours at a time, so the process is slow. Its both expensive and noisy (it sounds like a kettle). It produces about 1 litre of distilled water per hour. Costs: $350-$600 for a small home distiller. Activated carbon filters used for home water treatment typically contain either granular activated carbon (like those in Brita filters) or powdered block carbon. Carbon block filters generally have a higher contaminant removal ratio than granulated activated charcoal. The two most important factors affecting the efficiency of activated carbon filtration are the amount of carbon in the unit and the amount of time the contaminant spends in contact with it. The more carbon the better. Similarly, the lower the flow rate of the water, the more time that contaminants will be in contact with the carbon, and the more absorption that will take place. Particle size also affects removal rates. Activated carbon is carbon has a slight electro-positive charge added to it, making it even more attractive to chemicals and impurities. As the water passes over the positively charged carbon surface, the negative ions of the contaminants are drawn to the surface of the carbon granules. Trace minerals like dissolved calcium and magnesium do not bond to carbon and are allowed to pass through, thereby retaining the health quality and good taste of the water. Pros: Inexpensive, they do not require a heat or pressure source so they are cost-effective, they waste very little water. Most beneficial minerals such as magnesium, potassium, and calcium are not removed by the activated carbon. Can be installed under the sink keeping it out of the way. Cons: Since the pore size of the carbon block can be quite small, the filter cartridges become plugged by various contaminants and must be changed on a regular basis in order for the system to maintain effectiveness. They do not reduce the levels of most soluble salts like arsenic, nitrates, cadmium, and fluoride. As the carbon block gets blocked with gunk over time they lose filtration effectiveness. Costs: $115 for the filter system, plus Replacement Filters $40 (every 6 months). Reverse Osmosis filtration is my recommendation for its thorough filtration, convenience of quick, abundant, clear water, and for being tucked away under the sink. I recommend going for a large tank (tanks come in different sizes from 5-12 litres). If you empty the tank you’ll have to wait for it to fill again (it takes about 3 hours to fill a 12 litre tank). I also recommend going for a mineral filter as one of the criticisms of RO water is that it also removes vital minerals. The minerals are natural rocks and also contribute to the taste of the water. Also, importantly, when you’re ready to buy an RO filter system shop around! We found the same (exactly the same unit) priced between $500-1000! If you need a supplier recommendation (in Australia) send me a message and I’ll give you the details. My second choice would be Solid Carbon Block filtration. Next choice Distillation (but only if I have heaps of bench space), and I’ll happily travel with a Brita filter for portability. Previous postWhat’s in Our Water?